Photo of: West of Ireland: Clare: Poulnabrone Dolmen. 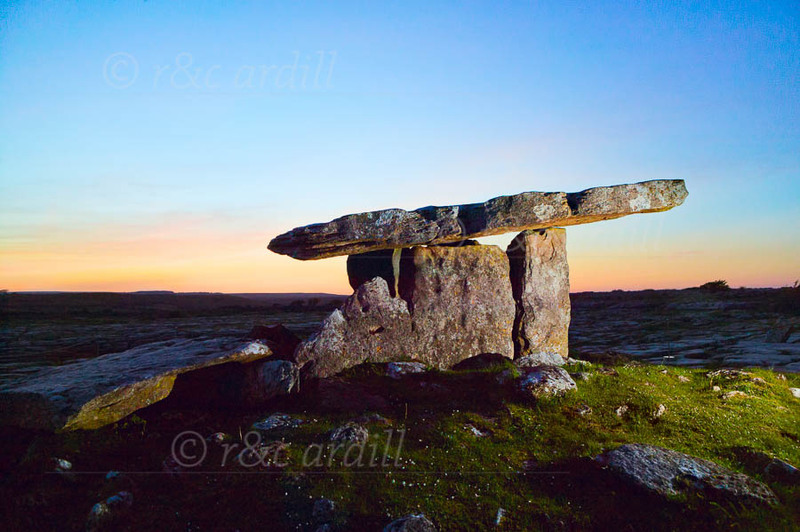 A photograph of the Poulnabrone passage tomb in the Burren, Clare, at sunset. This megalithic portal tomb is located near Ballyvaghan on the most extraordinary limestone field of rocks.